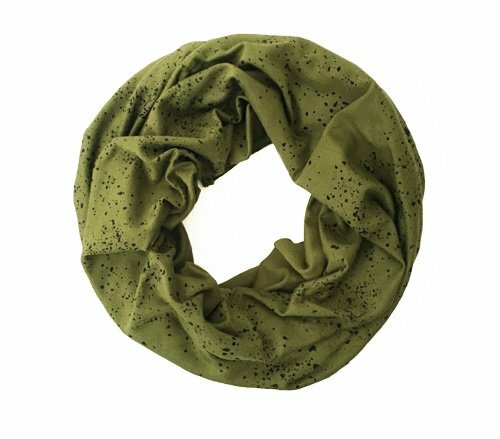 A lighter, one-loop version of Little Minnow's original infinity scarf printed with our ever-popular flower pattern, screen printed in dark and light gray on a brick colored scarf. 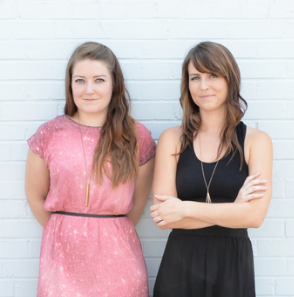 Little Minnow takes great pride in creating handmade products. Their patterns start as hand-drawn designs which are then made into screens and printed. Each scarf is sewn and packaged with the help of our studio team. Handmade is hard work, but that's what makes it so special! "We met back in the 80's, and twenty-some years later, found ourselves starting a business in a tiny apartment in Austin, Texas. It started with creative projects on the weekends - watching YouTube videos and teaching ourselves to screenprint, sewing scarves after work - but quickly grew to much more. With a lot of hard work and a little luck, we soon moved into a larger space and quit our day jobs to pursue Little Minnow. We are Lizzi and Mary Bradley, sisters from Minnesota, on a journey of a lifetime as we have taken our favorite pastime - making - and grown it into a business. We are constantly learning, experimenting and growing. And we love what we do. We are motivated to get our art, our little voice, out there in the world. Every sale is like a little compliment, and who doesn't like compliments? We offer handmade products, something that is very important to us. Each of our patterns starts out as a hand-drawn design. We burn our own screens and cut our own fabric. All textiles are hand-printed in our studio, and then sewn/finished and packaged up. Handmade is hard work - but if it was easy, anyone could do it. We feel so lucky to be doing what we love, and we thank you for helping make that possible!